I guess I’m in good company! Yet their frailty is sometimes also their strength – the flexibility to meet change without being broken. I woke feeling very ill and strange late in the night of the eclipse – luckily it passed by morning – your haiku describes how I felt. Life is short. Glad you’re feeling better. Think you received some energy from that eclipse, and your body had to adjust. Drumming is very healing. Look forward to you sharing some about it. Love this one! Frailty is part of life as we age, but what a joy take advantage of what remains, to meander in the gifts this vast Ocean provides, be it a single drop of rain or the beautiful curl of a wave. 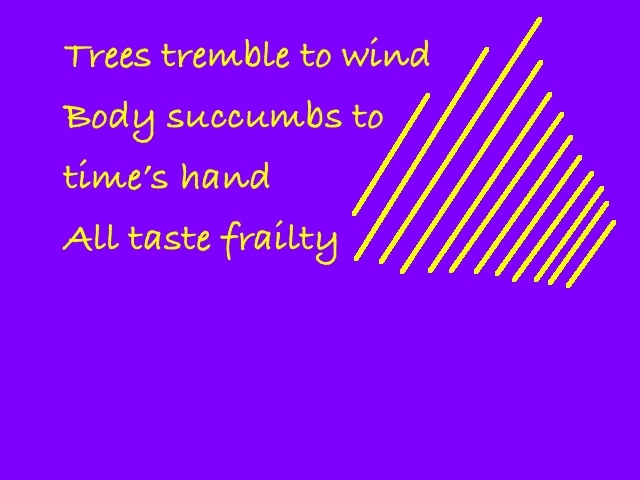 Frailty slows us down so we can truly observe. Thanks for sharing your observations, Susan.